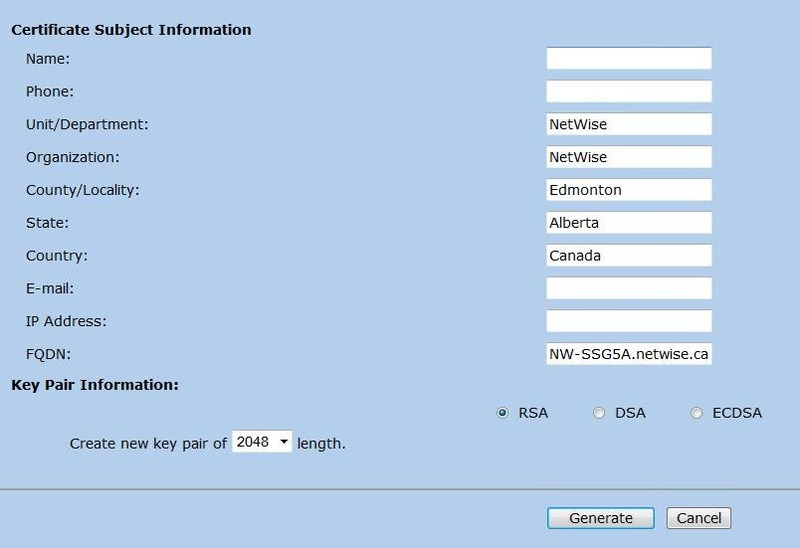 1) Browse to the web URL for the SSG5 – HTTPS://NW-SSG5A. Yup, we get an error. 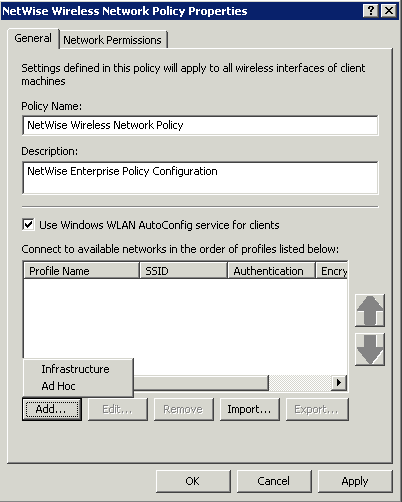 2) Login to the device with ROOT credentials (ie: netscreen or similar if you’ve renamed it.). I don’t think you can do this with a regular read-write admin user. 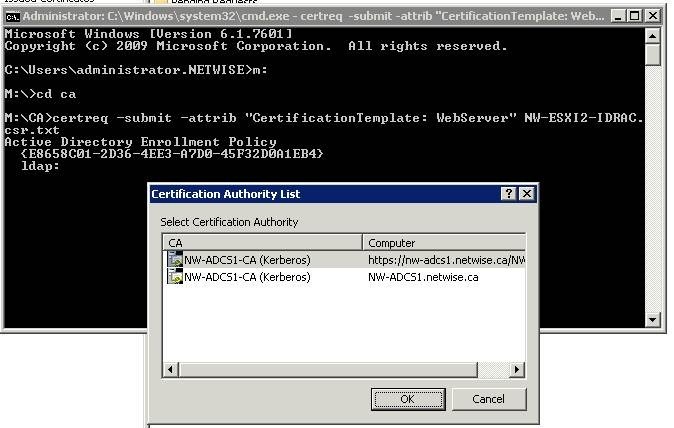 Remember the command line is: certreq –submit –attrib “CertificateTemplate: WebServer” NW-SSG5A_pkcs10.txt(that is what you saved in #5 above). 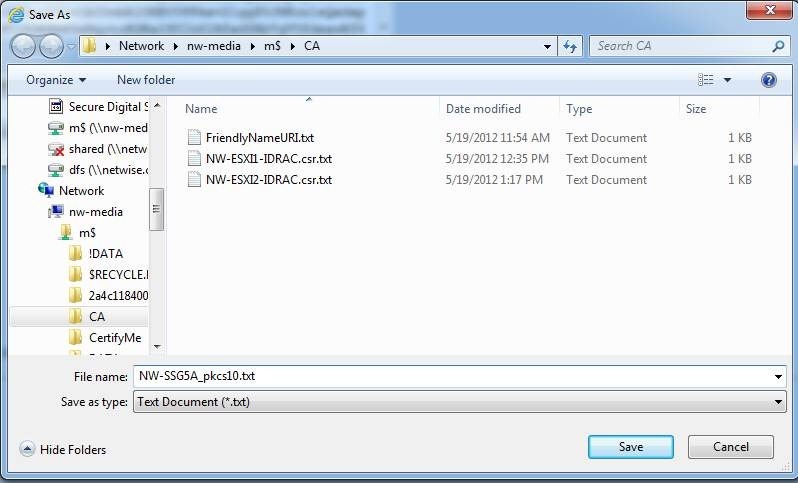 Save your resulting file as NW-SSG5A.cer and click SAVE. 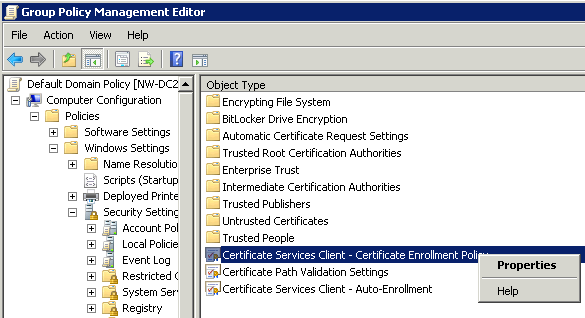 7) On the SSG, click on OBJECTS -> CERTIFICATES. Click OPEN. Then click LOAD next to the BROWSE button. I got a pop up error that complained and then refreshed the page. 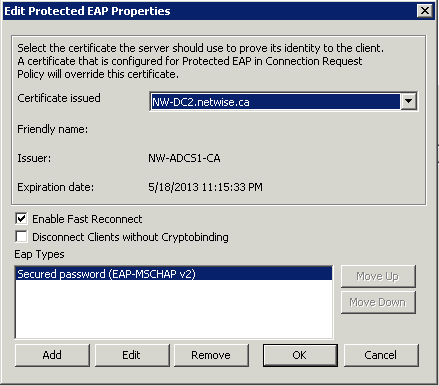 Look at that – no SSL error! 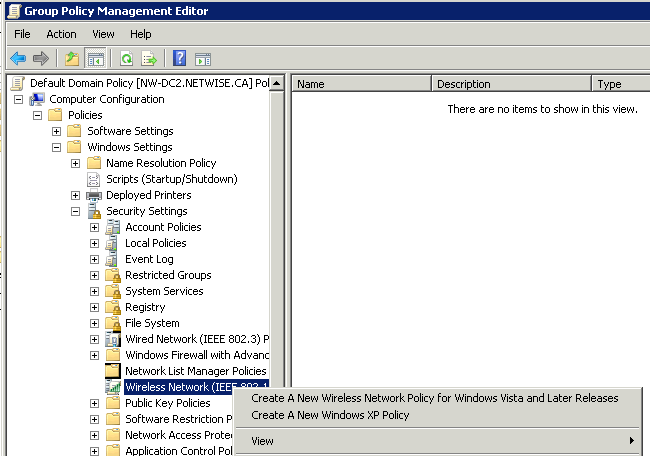 So my PKI works. 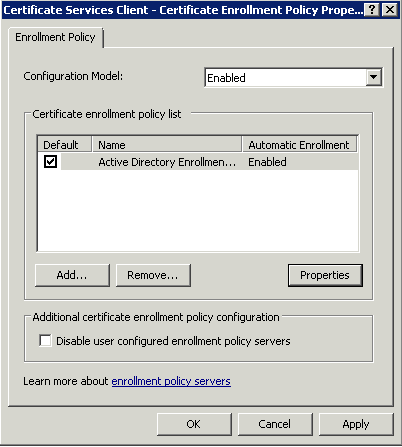 But…… I don’t know what to *DO* with PKI. Maybe I can…. Oh hell who knows. Wait. 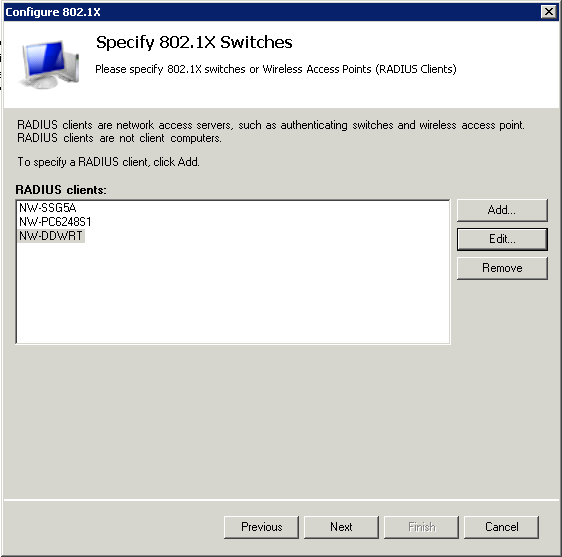 Network Devices! 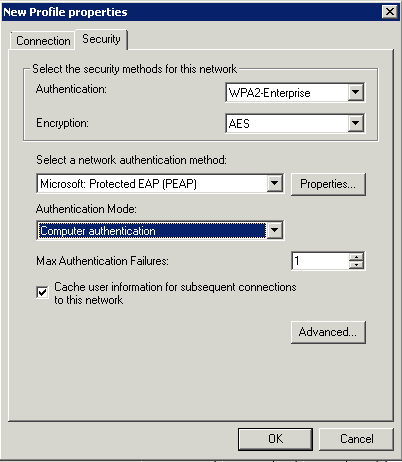 Things that have HTTP/HTTPS administration pages, with SSL errors. YES! Let’s start with that. That seems like a good enough target. 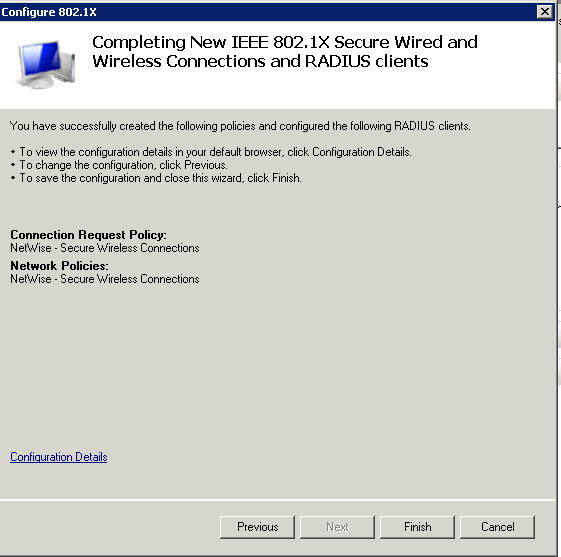 1) Browse to HTTPS://NW-ESXi1-IDRAC(10.0.0.231). 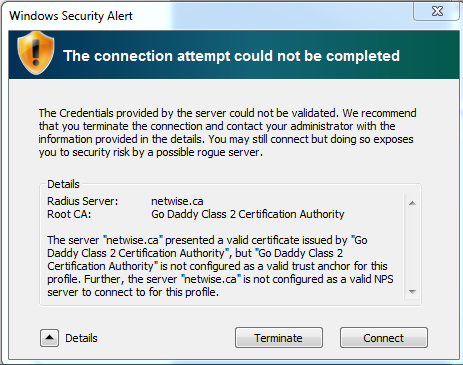 Get an SSL error, but trust it. 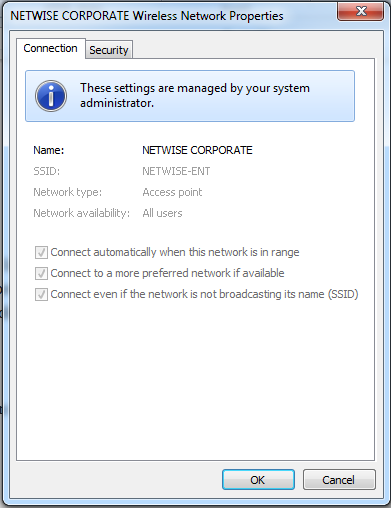 2) Click on SYSTEM -> REMOTE ACCESS on the left. 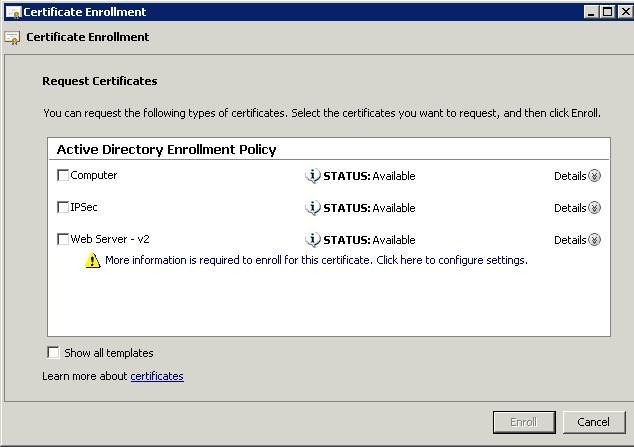 Then CERTIFICATION tab. 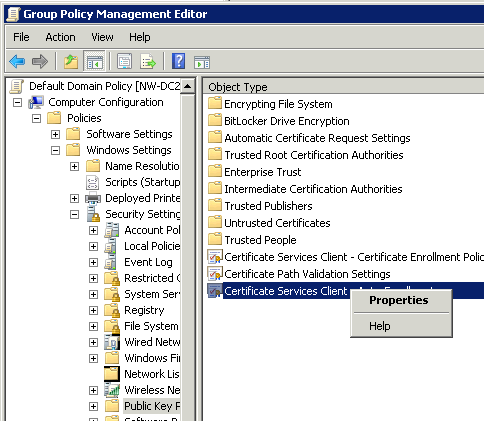 Then SSL option. 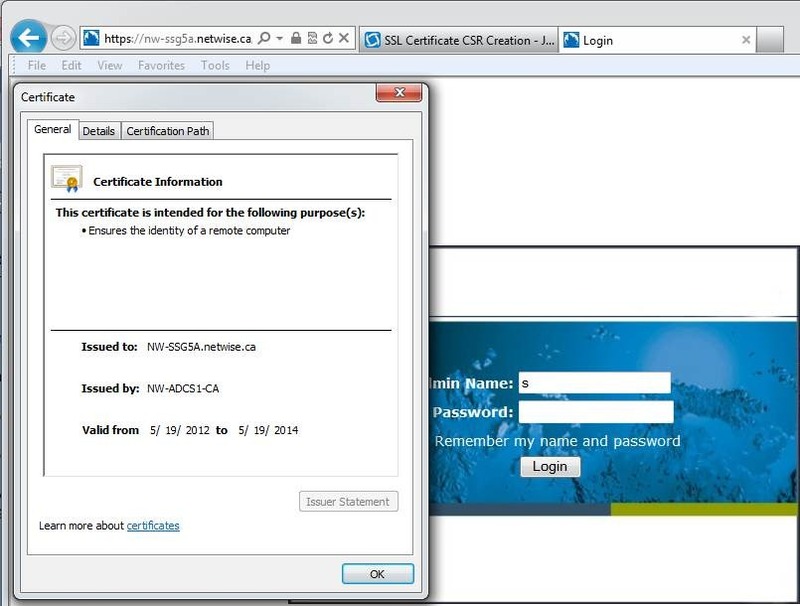 Click GENERATE A NEW CERTIFICATE SIGNING REQUEST (CSR) and click NEXT. 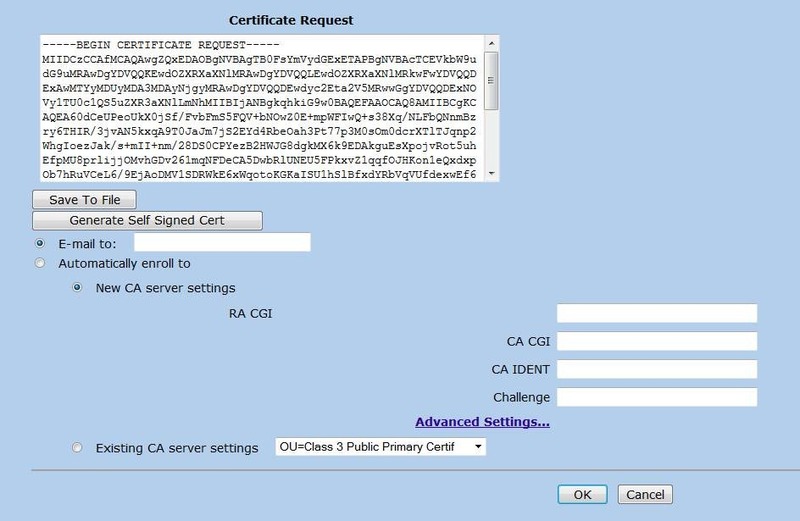 NOTE the red bar showing the Certificate Error! Remember the Common Name should be your host name (not FQDN). 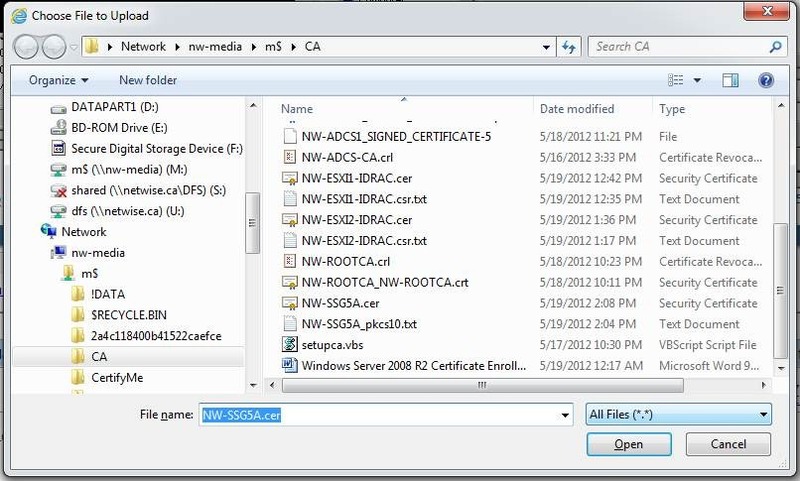 Your Organization name has strict requirements as to what it can contain – I think it is alpha numeric and – and _. 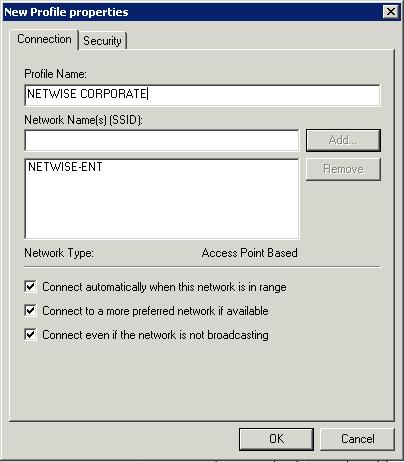 To simplify my life, I never use “NetWise Inc” or similar, just make it NetWise. City and State should be filled out in full. 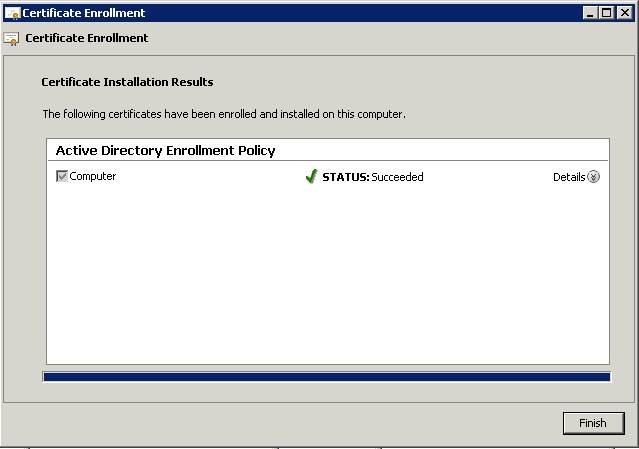 E-mail is optional, I’d exclude it (scratch that, got an error demanding it as I was doing this for screen shots). Click GENERATE. 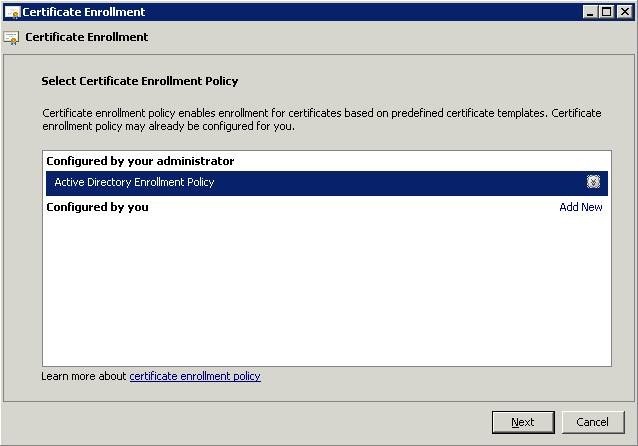 Note that it wants to call it “CSR.TXT”. This is stupid. 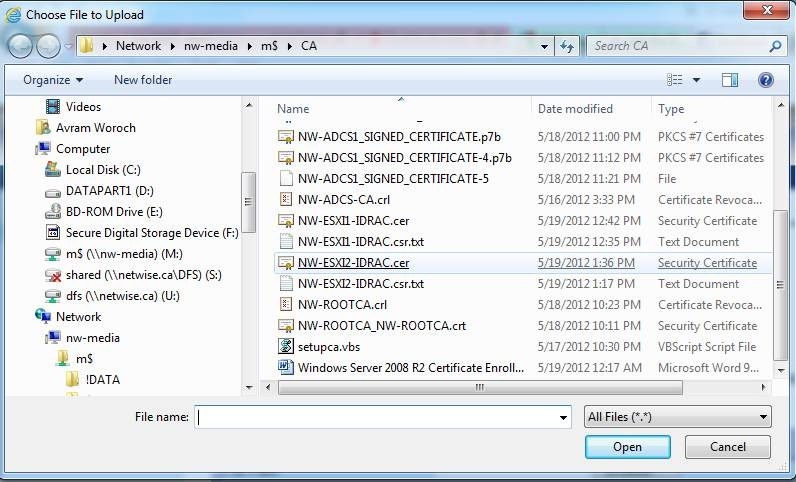 Save it somewhere that is shared between where you are doing this configuration and the Subordinate CA (NW-ADCS1). 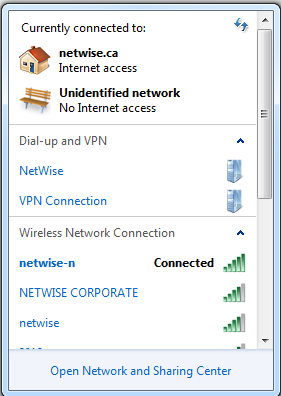 I might suggest a shared/common network location that the Administrator has access to, and rename it something with a little bit more detail. 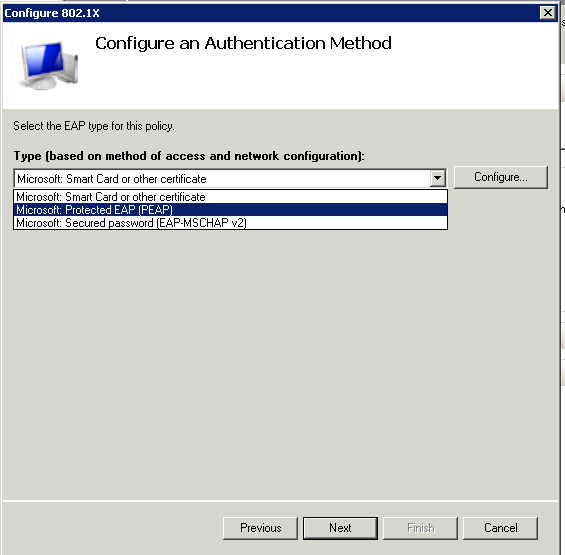 Something like <COMMON NAME>.csr.txt. Don’t get fancy and drop the .txt, you’ll see why later! Select your CSR. Remember how I said don’t drop the .TXT? Look at the types – *.req; *.txt; *.cmc, etc. 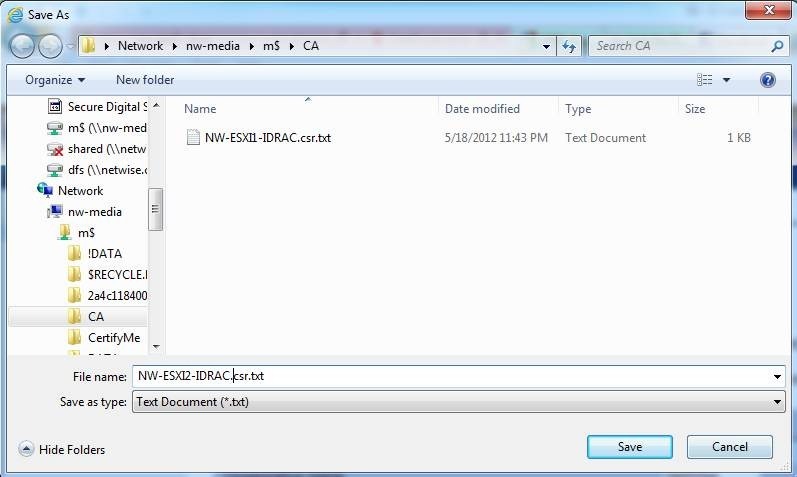 I don’t have Explorer set to show extensions which is why you don’t see NW-ESXi2-iDRAC.csr.txt. But if you changed the name, you’ll not find your CSR, which is frustrating at the end of a long night of fighting with this. Select your CSR and click OPEN. 6) What the hell? Why is there an error???? 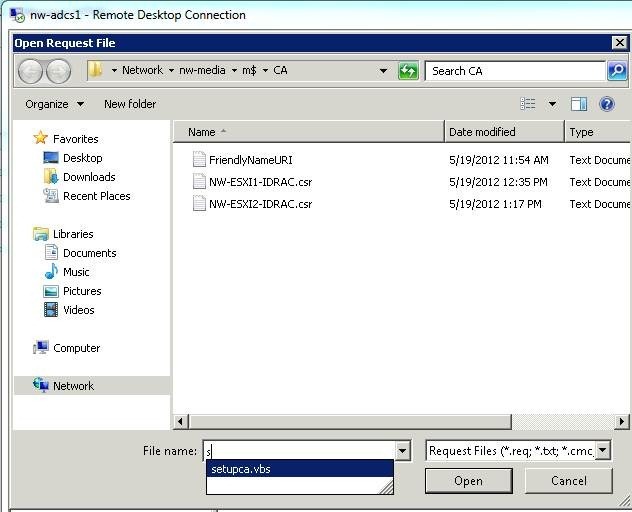 Microsoft’s resolution: Generate the request some other way. The key is the extra attribute we add to force use of the template. 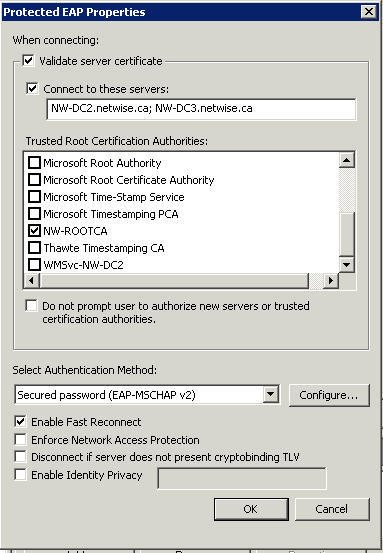 The certificate is issued and we can go and import it to the web server. 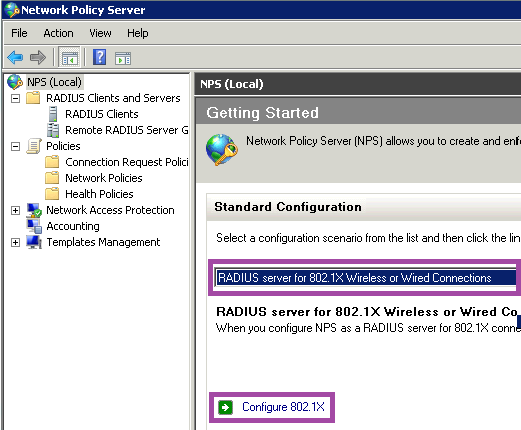 When you run it, you’ll get this pop up. I don’t yet know why. 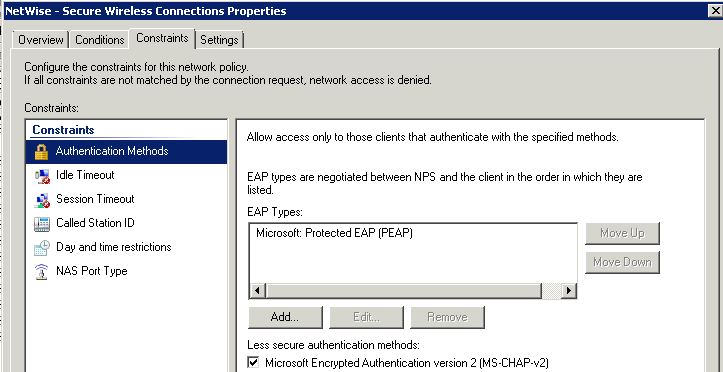 I THINK it is because the PKI setup I used said to follow all the instructions on, says to remove the LDAP:// URI. 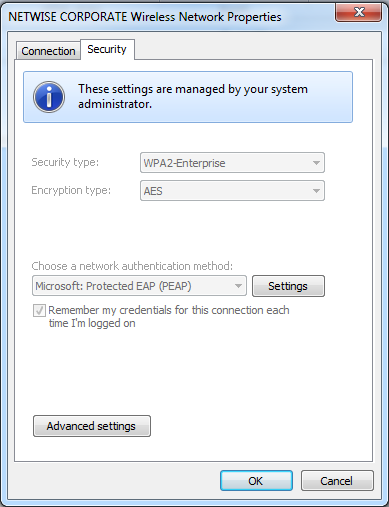 You can see from the command prompt behind that it is showing LDAP:. 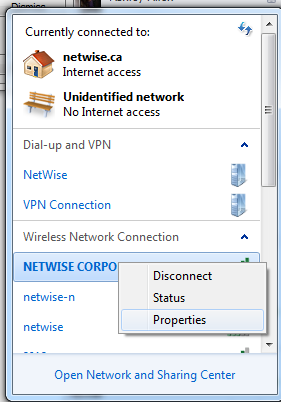 Just pick the second one, as right now my HTTPS version seems to not bet working. 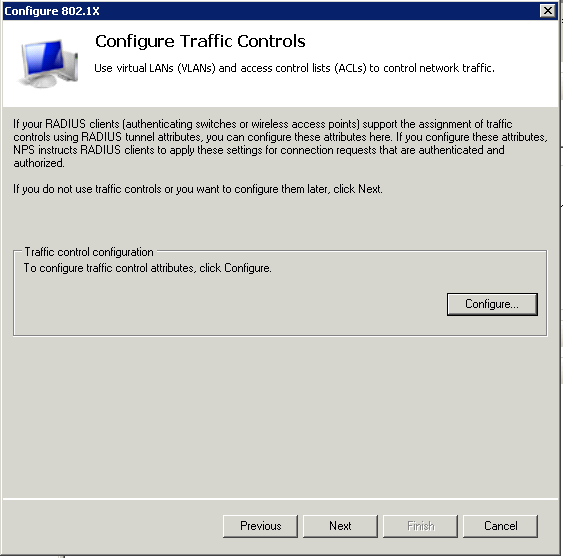 Click OK.
7) Go back to the iDRAC configuration web page. 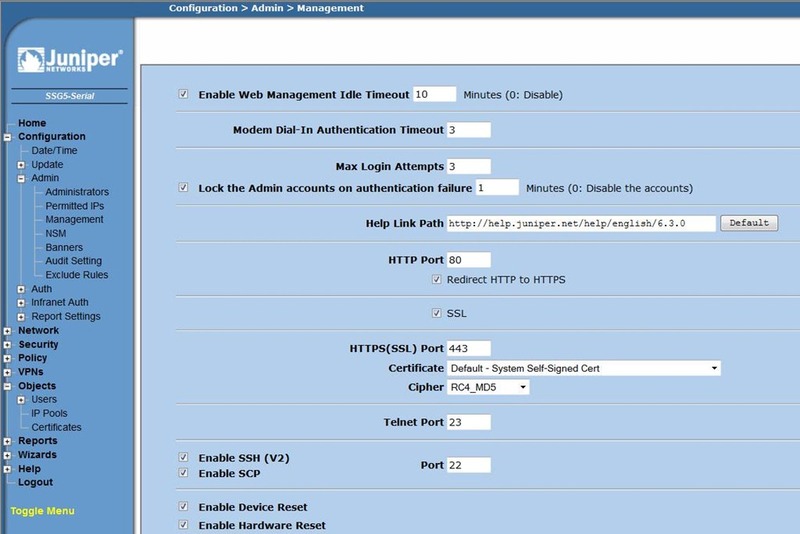 It’s probably timed out – so relogin and Click on SYSTEM -> REMOTE ACCESS on the left. 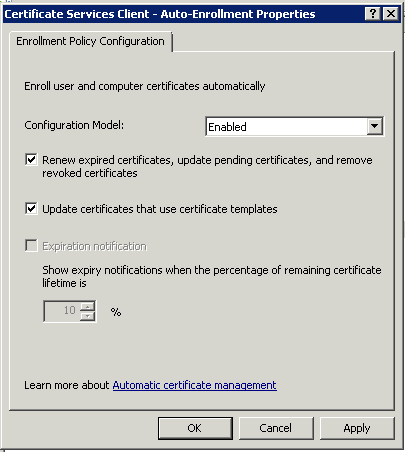 Then CERTIFICATION tab. 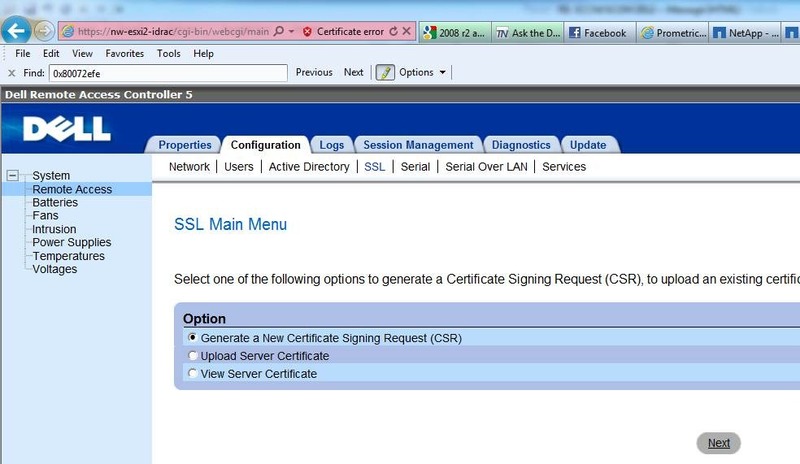 Then SSL option. 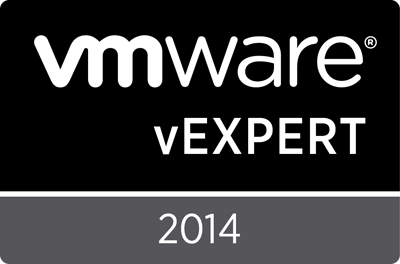 Browse to your new CER file. If you’re not sure, it will be the one with the hostname, but the later timestamp. Select it and click OPEN. Click APPLY and then click OK on this message. It WILL take 2-4 minutes before you can log back in. It wants to close the tab, and you probably should. 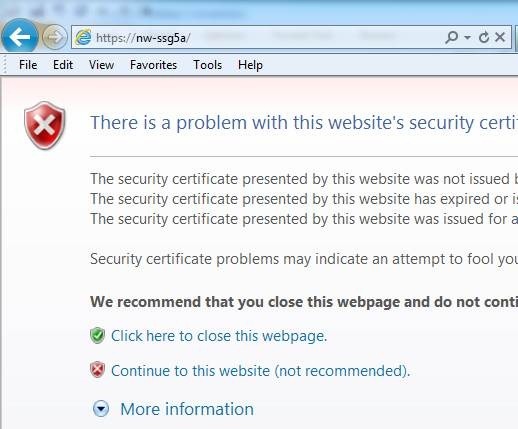 8) Open a NEW BROWSER and browse to the site – would you look at that – NO SSL ERROR. 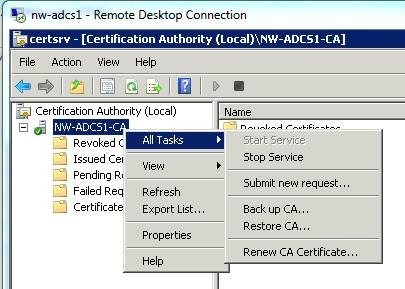 This assumes that if you did all the stuff in my previous PKI post (https://vnetwise.wordpress.com/2012/05/19/enterprise-ca-pki-for-domains-2-tier-with-root-subordinate/) to set up the Root CA and Subordinate CA, with GPO options, that you are doing this later on, on a computer that has refreshed its GPO’s, to get the trusted Root and Intermediary CA’s for your network. 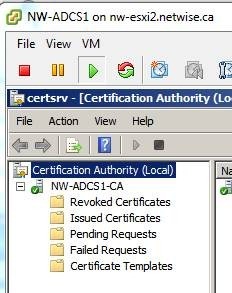 If you have NOT, then you SHOULD EXPECT to get an SSL error here, as it has no idea that it should trust the Subordinate CA that just issued your certificate. This ALSO means that if you have a non-domain computer such as a personal laptop that you bring to the office, you SHOULD EXPECT to get SSL errors, unless you have told it to trust your ROOT/Subordinate as well. This CAN be done, but it is WAY out of scope for this.